I test gear for a living. so my kit changes all the time. I’ll list my long term gear here. These are the cameras and lenses that I’ve tried and loved enough to keep hold of. As of January 2018 I am now using an Olympus OMD EM1 Mark II and Sony A7R II. The lenses that I am using are the Olympus 12-40mm f/2.8 Pro, Olympus 25mm 1.2 Pro, Olympus 45mm 1.2 Pro, Olympus 75mm 1.8. 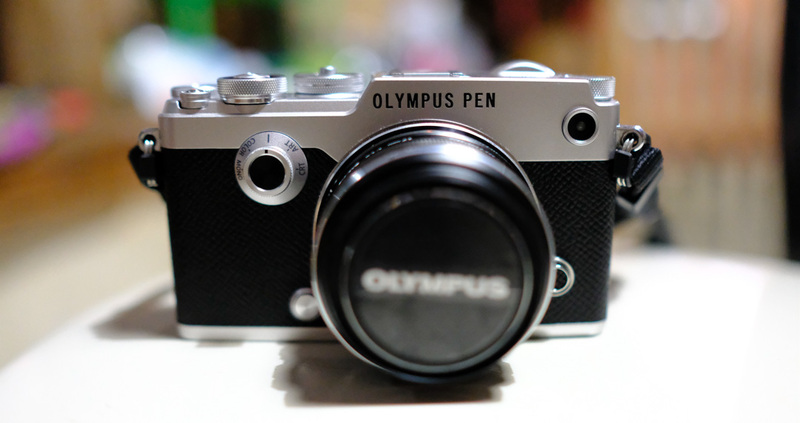 I have just sold off all my other Olympus f/1.8 primes including the 25mm and 45mm. I am also using the Sony A7RII + Zeiss 55mm 1.8 lens when I need improved low light performance. 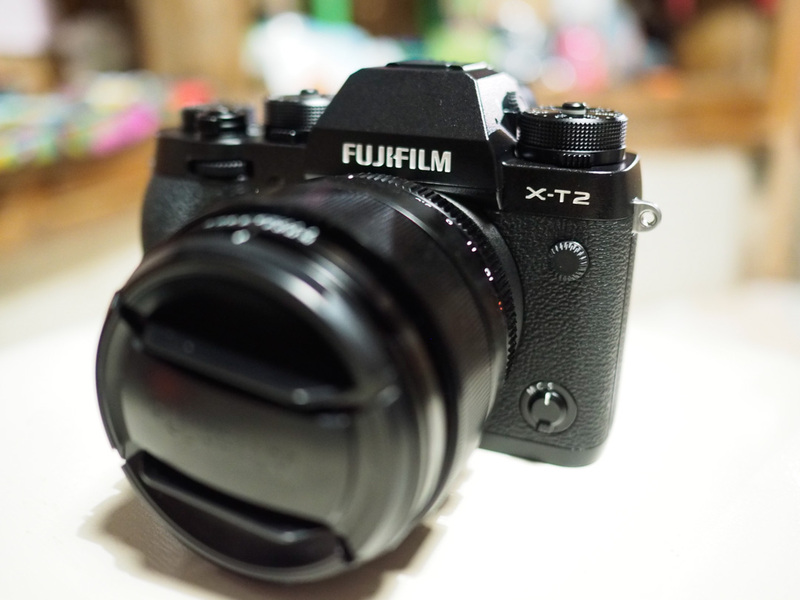 I recently got the Fuji XT2 in for testing and just from my first impressions I know I will be keeping it. Why? It’s small, has great tracking AF, beautiful external dials for shutter speed, ISO and exposure compensation, fantastic Fuji colours and a great lens line up. It’s fast to focus, offers good image quality and it’s small and light. I mainly use it with prime lenses. I also absolutely love the black and white modes that this camera produces as they are so customisable in camera. This is the camera I take everywhere with me and because a lot of what I shoot with this is family photos I usually shoot Jpegs straight out of camera. It is no surprise that as I now shoot a lot of the time in Jpeg that I have a Fuji and an Olympus as in the opinion of many they have the best Jpeg engines of any cameras on the market and I agree. The Fuji colours are great for people and the Olympus is great for everything. The X100T is a great camera to use when you want simplicity. Simplicity of control, fixed lens, real dials for shutter speed and aperture and I am a fan of those Fuji colours. I still have the Nikon D7200 as it is one of the best DSLR’s available for general purpose photography. It’s fast, has great image quality, weather sealing and battery life is awesome compared to mirror-less cameras. What I don’t like about having a Nikon DX camera is the DX lens lineup for Nikon which is poor compared to Fuji and Olympus. The handling is fantastic but I still prefer to use something smaller and less obvious when shooting portraits or street photography. 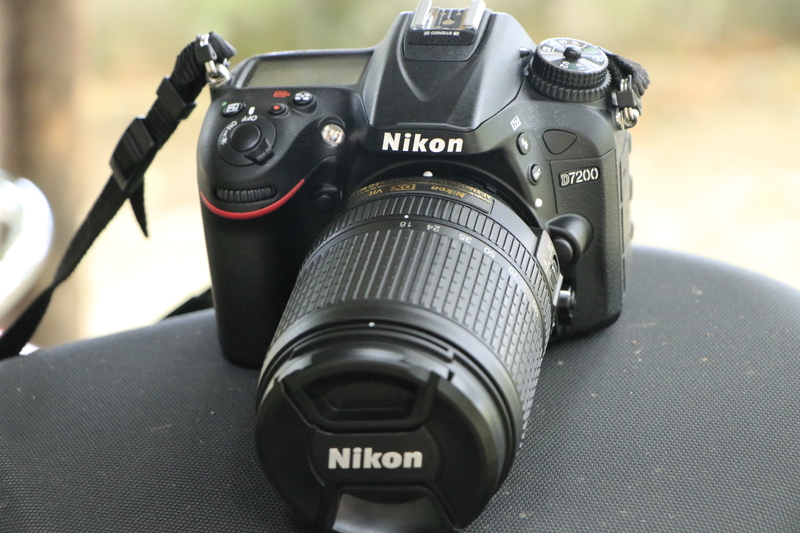 If you are looking for one of the best DSLR’s for your money then the Nikon D7200 is right up there. Why no full frame camera? Right now I just don’t need it. The image quality I’m getting out of the cameras I own is more than enough for my needs. I’ve shot and owned tons of full frame cameras including the Canon 5D MK II, Nikon D750, Nikon D810, Sony A7R , A7II as well as 4×5 film and a medium format Pentax 67II. I rarely shoot in low light for professional use, I don’t currently print huge prints and I can get shallow enough depth of field from all of the cameras I own. If I really need a jump in image quality then I’ll probably look to the Hasselblad X1D or Fujifilm GFX-50C. or using the Amazon UK links below. Small, lightweight and sharp this makes the Pen F fun to shoot and at f/1.8 works well in low light. Olympus 45mm f/1.8- At under £200 this lens is a real no brainer for anyone with a micro 4/3 camera. It’s sharp has a fast aperture , is a great length for portraits, focuses fast. The only downside is the bokeh can be a little busy. Olympus 12-40mm f/2.8 Pro – The first Pro lens from Olympus offers great build quality, weather sealing, great IQ and a fixed f/2.8 aperture. It’s also considerably smaller and lighter than equivalent lenses on other systems. Olympus 75mm f/1.8 – If you like the focal length then this is one of the sharpest lenses for Micro 4/3. I don’t use it as much as the other lenses but when I do I love the results. Fuji XF 23mm f/1.4 – The 35mm equivalent focal length is probably my favourite and this lens is one of if not the best I’ve shot in this range. It is sharp, offers great contrast and the large aperture allows you to use it in low light and create some nice bokeh if used correctly. Fuji XF 56mm f/1.2 – One of the best protrait lenses around it is smply beautiful Great focal length, colour, contrast and beautiful bokeh. It is not the fastest to focus but still does a reasonable job. 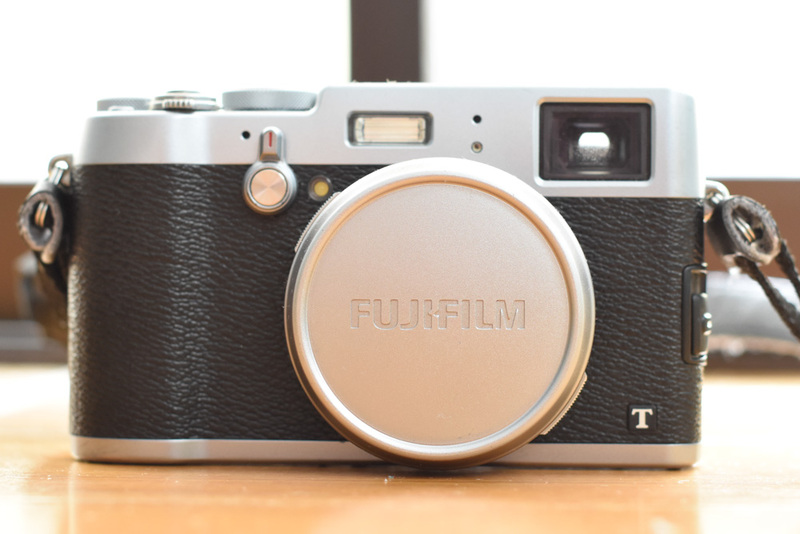 Fuji 35mm f/2 – Small light and sharp, plus it’s weather sealed and lightening fast to focus.. What more can you ask for for a lightweight walk around lens. Nikon 18-140mm f/3.5-5.6 VR – For a kit lens this is surprisingly good and offers a nice focal range. If I’m heading out with the family and want fast autofocus this is often the only lens I will take. Nikon 50mm f/1.4 – Reasonable image quality although a bit soft at f/1.4 it is a good low light option and on DX cameras makes for a nice portrait lens. For the price it offers good value. I’ve used a ton of other lenses on various systems including Zeiss, Canon, Sony, Fuji , Olympus, Panasonic and more but these are the ones that are still in my bag as I write this. “>. Years ago I would go out and shoot with a tripod and a huge bag full of lenses in almost any weather. These days I’m a bit of a softy and prefer travelling light. At the moment I use a Vanguard Heralder 38 because it was all I could find here in Asia. It’s a bit too big for my liking although it is good for storage. Inside it currently are a Nikon D7200 + 18-140mm, Nikon 50mm f/1.4, Fuji X100T, Olympus Pen F with 17 f/1.8 attached, OM-D E-M5 II with 45mm f/1.8 attached and a bunch of filters, batteries and memory cards. I rarely carry a tripod now in part thanks to Olympus’ amazing 5 axis in built IS in the Pen F. I have also changed the way I shoot and no longer regularly shoot landscapes so don’t feel the need for a huge tripod anymore. If you need one I would recommend something from Manfrotto or Gitzo if you have the cash. I’ve always found them to be great. I now just have a lightweight Vanguard tripod for use if a tripod is essential. I would also recommend looking at the Velbon Ultra Rexi L if you want a small tripod that is also up to more heavy use. I used one for a couple of years before I ditched proper tripods altogether. I don’t put UV filters or protector filters on the end of my lenses anymore. However a good circular polarising filter is always useful. I use Hoya HD filters as they are very tough and much easier to clean than their Pro 1 D range. For graduate ND filters I’ve always found Lee Filters to be by far the best. This list will update from time to time as I test new cameras and lenses and sometimes swap my kit around. I enjoy going light with my gear now as I find it adds to my enjoyment and is less intrusive if I’m out shooting people on the street.